As more and more schools reach out to international teachers, Skype has become a convenient way to screen potential new teachers. For many teaching applicants, a Skype interview is often the first step to the process of being hired. Whilst you have the convenience of being able to stay at home for your interview, there are some things to keep in mind. Get Skype savvy with our guide for online interviews..
Skype interviews used to be the innovative way to conduct interviews, however it has now become the new normal with more than six in ten human resource managers saying that their company uses video interviews. Keep up to date and showcase your best self using our guide for how to prepare for a Skype interview. Just like an in-person interview, you should practice your answers beforehand to make sure that you sound confident. You may also want to practice using Skype with a friend to ensure you are familiar with the program and to fix any potential problems that may occur. Set up a mock interview with a friend or family member and have them take notes about how well they can see you, how clear you sound, and how the connection was at their end. A mock interview not only helps increase your confidence but allows for the opportunity to make adjustments to avoid technical glitches. Your World Class consultant is available to arrange a mock interview and to talk you through what to expect. Once you’ve practiced several times with a friend you can figure out where the best place to conduct your interview will be. This will also allow you to experiment and work out what the best way to set up your Skype interview is. Consider where you will get the most reliable internet connection. Having enough natural light and a simple background are important factors to think about. Background noise will also be a factor in how well your Skype call can be heard; make sure to close all doors and windows as well as letting everyone in proximity know about your interview so that they know not to intrude. While a Skype interview might take place in the comfort of your own home, remember this is still a job interview. If your LinkedIn profile showcases you as an organized and reliable person, you should look the part and dress as such. For a teaching position, business smart-casual attire is appropriate. Keep in mind your colour choices -if you have a white background you might want to wear something contrasting to stand out. Avoid stripes, busy patterns or shiny material. Black can be a tricky colour to make work and usually requires very good lighting. Choose a colour that you know works well with your skin tone. Again, practicing and rehearing is key to Skype interviews. When you rehearse the interview with a friend consider wearing what you will wear for the actual interview so you can see what works best. Technology has added a tremendous amount of value to the education sector and is undoubtedly great for communicating with people all over the world. However, keep in mind that tech is not perfect. Your interviewer will likely understand that some glitches are to be expected; what matters is how you handle them. If you should encounter any problems try not to get frustrated. Always have a backup ready such as another computer, tablet, or even your smart phone. Showing that you are flexible and a quick problem-solver can demonstrate that you are a resourceful teacher with some useful management skills. Now that you have all the technical aspects of your interview taken care of you also want to make sure all relevant materials for your interview are prepared. With any interview it is always best to do research about the school that you are applying to and become familiar with their teaching philosophy as well as methods they employ. 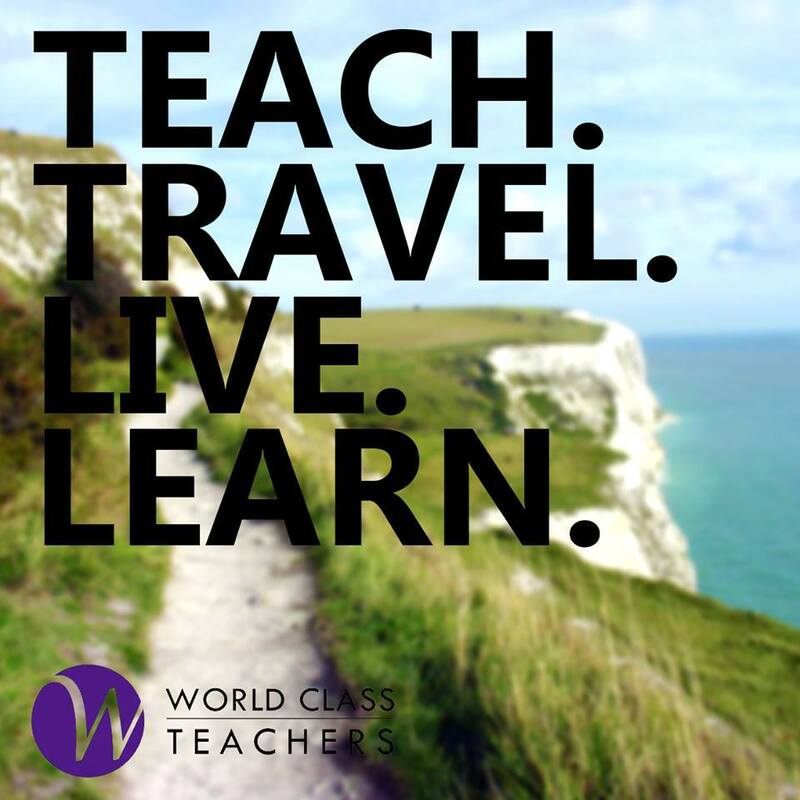 If you are looking to teach abroad you should also research the country you will be working in and mention why you would prefer to work in that country over another destination. One crucial advantage of a Skype interview is that you are able to have notes in front of you to reference. Keep short notes about any questions you might have or important points you want to remember to mention. You should not have to shuffle through pages of paper but rather keep a few small notes readily available that you can quickly glance at. Skype has become an integral part of the teacher recruitment process, enabling World Class Teachers to effectively communicate and liaise with teachers both local and abroad. As technology continues to play a pivotal role both in and out of the classroom it is advantageous to keep abreast with tech advancements within the education sector. Successfully participating in Skype interviews can not only show your interviewer that you are versatile but also that you are an enthusiastic and interactive teacher. For more information about conducting a mock skype interview or teaching in London, speak to a world class consultant today! Do you have any other helpful hints for a successful skype interview? Comment below or find us on Twitter and Facebook.